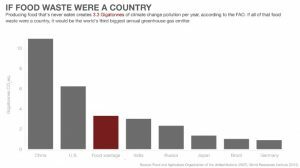 If food waste were a country, it will be the third biggest contributor of Global Warming after US and China. So, can our actions really make a difference to the present extreme environmental muddle? According to Mr. Chad Frischmann, the vice president and research director at Project Drawdown: an NGO committed to find solutions to global warming, reducing food waste is one of the most significant things we can do at individual level to reverse the global warming. 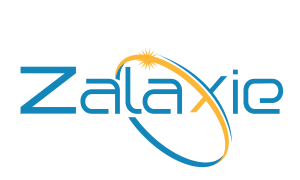 Here on Zalaxie, we talk about single used plastic, alleviating pollution and use of renewable sources of energy. But I personally think food waste is not only a veiled factor which contributes to the same level of gravity but also a shameful contributor when in a country like India 190.7million people face hunger every single day. Not just this but it involves the waste of emissions that come about from the production, process, transportation, storage and making. All this end with the landfills. • Across the entire supply chain, 30% of the food is wasted at the global level. This contributes to 8% of the total global greenhouse gas emissions. • Cutting down on food waste could lead to similar impact as that by onshore wind turbines on reducing the emissions. • More than 70 billion tons of greenhouse gases could be reversed by corrective actions. As figured, reducing the food waste not only reverses the global warming but also help feed more people and uplift economic benefits to the country. Every problem has some simple solutions associated with it. It is noted that most of the food waste happens in the well off countries in the market by the consumers. This infures the simple solution to the problem. People need to shop wisely, store the products properly and love leftovers. This would automatically reduce the emissions from back processes. According to the Project Drawdown’s ranking of 80 climate change solutions , 8 out of top 20 solutions are related to the food system.